Fall vegetables are worth planting! Whether your summer garden didn’t go as planned, or you’re wanting extra food, fall vegetables are a great addition to your garden planning. Often in the spring we’re excited about garden planning and planting, but by mid-summer we’re done with the weeds and the heat. The thought of adding a fall garden is not something most gardeners think of. Growing fall vegetables adds weeks of extra garden harvests! 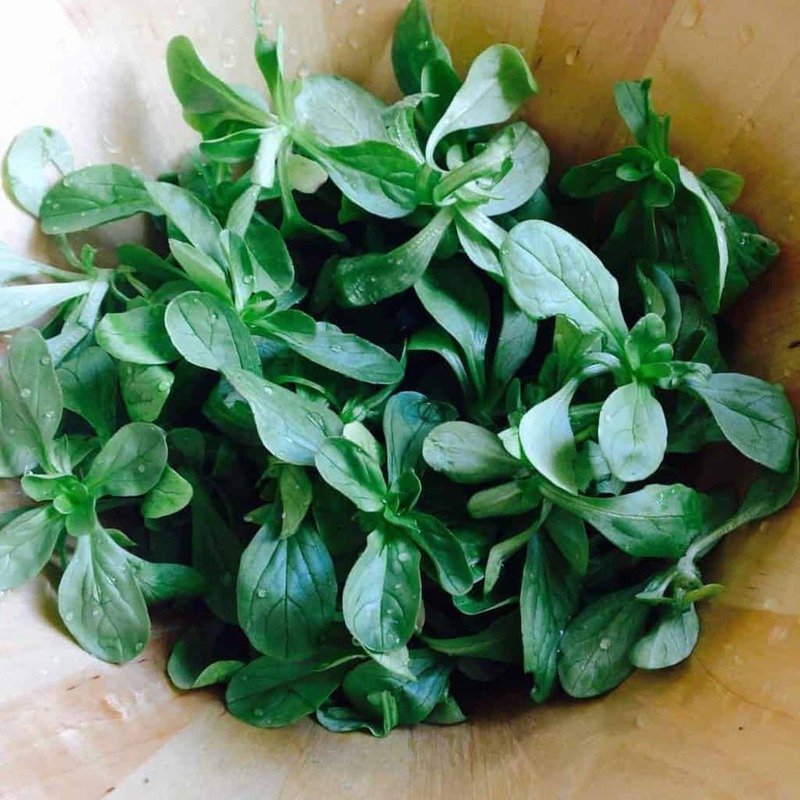 A bowl of mache (corn salad) a super cold hardy green! Because the days are cooling, that means the cool season crops are happier. It also means that growth can take longer because of reduced day length. These shortening days are called Persephone Days, a term Eliot Coleman discussed in his Winter Harvest Book. I’ve found that fall crops still grow super fast in the fall, even with the shorter daylight hours, because of the ideal temperatures. Often it’s the summer heat that slows down cool season crops, and even makes them bolt and go to seed. 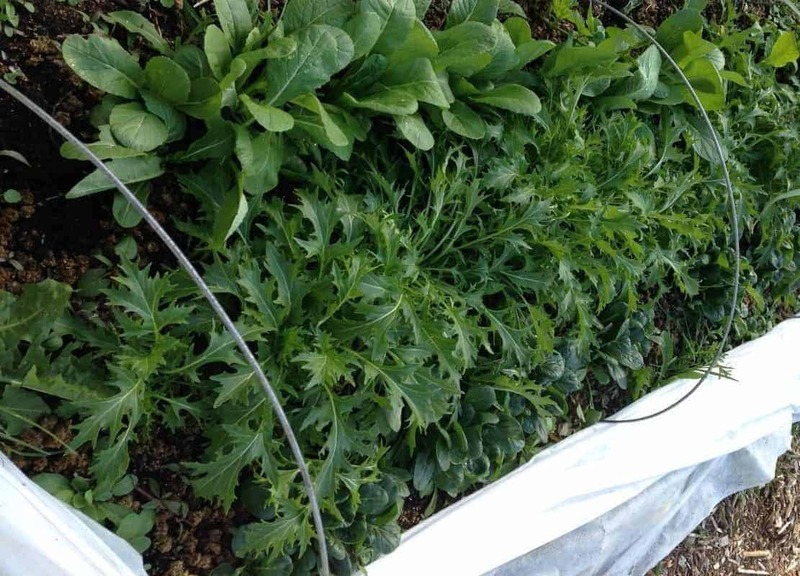 Autumn crops can be sown anywhere from early to late summer. It really depends on what you’re growing. 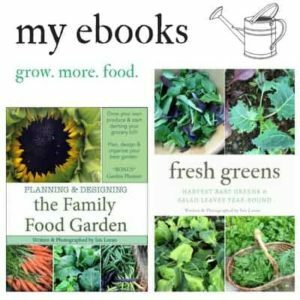 I created a list of longer growing fall crops like squash or parsnips in 30 Crops to Plant in Summer for a Fall Harvest. 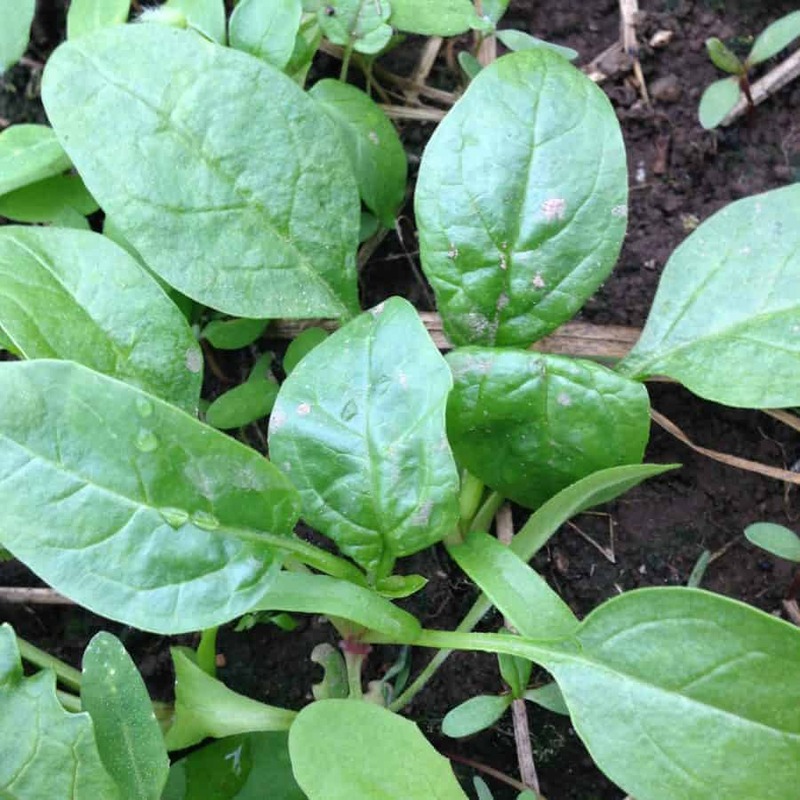 You’ll want to plant your fall crops after your spring or summer ones. 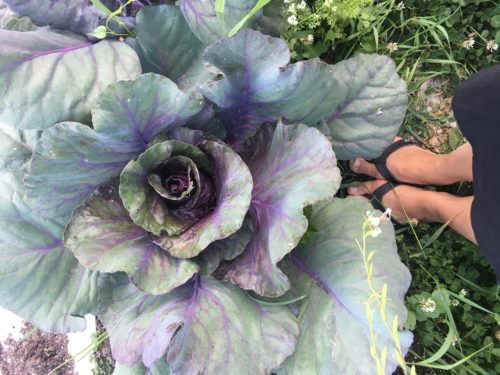 I love to follow the fall veggies like broccoli, carrots, beets or cabbages after spring greens. I sow the fast growing fall vegetables after pulling up summer plants like zucchini or cucumbers. 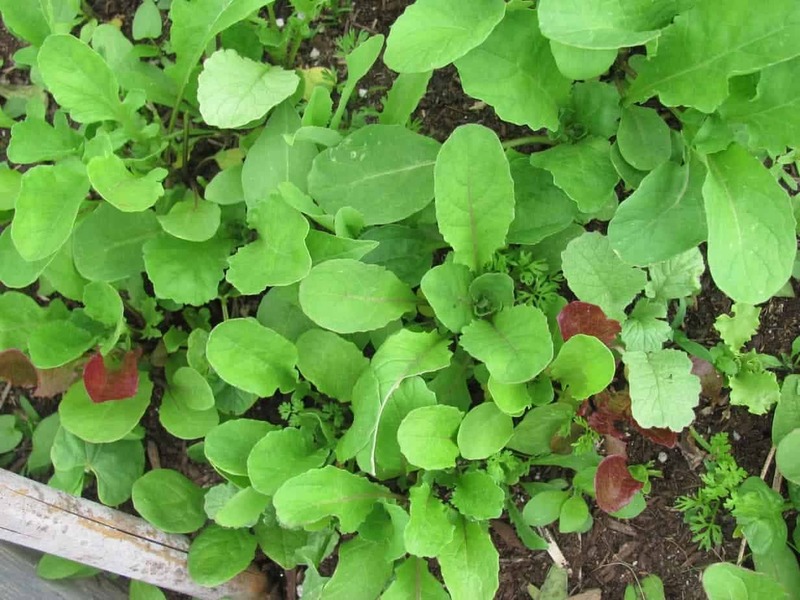 You can also grow a bed of spring root veggies and follow up with fall greens. The great thing about the fast growing fall crops is that you can sneak them in at the end of the season! This is a list of veggies that are ready in 30-50 days. They are frost hardy or frost tolerant, and will keep growing until the deep cold or snow. I overwinter many of these for early spring harvests. 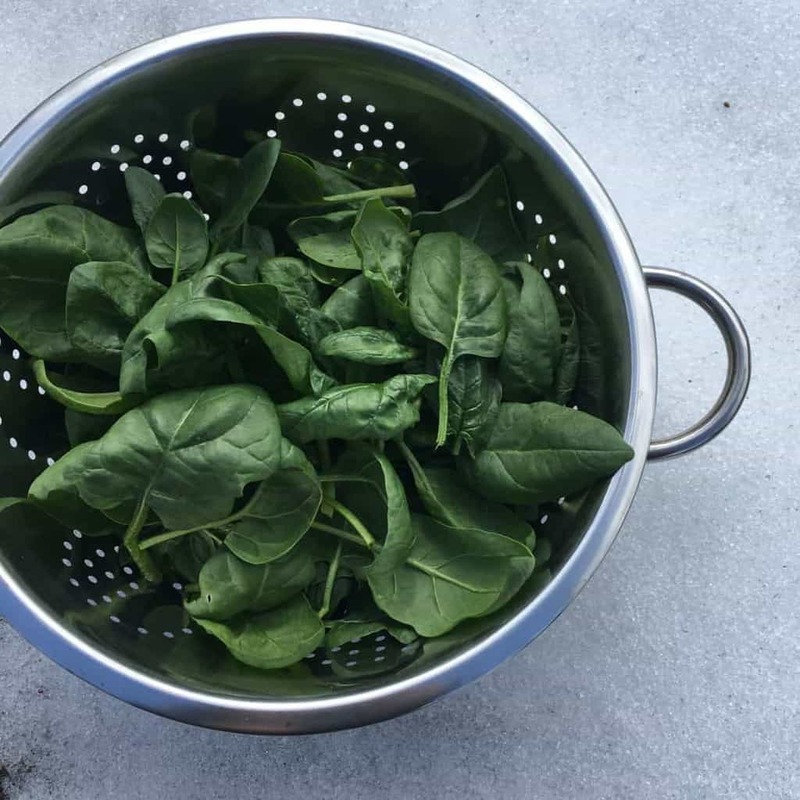 I even harvest bowls of spinach, arugula, mache and kale in our winter garden. We use an unheated winter greenhouse for almost year-round gardening. You can also use hoop tunnels if you feel more ambitious or if your falls are cold. 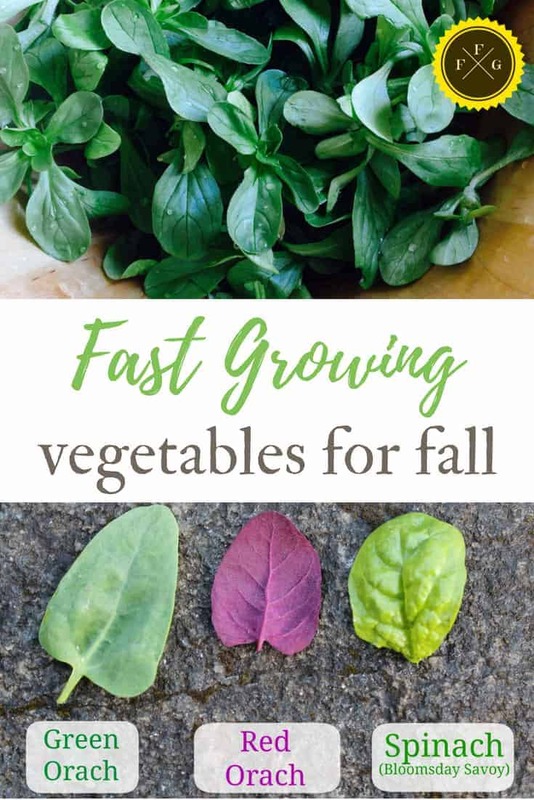 Do you grow fall vegetables? 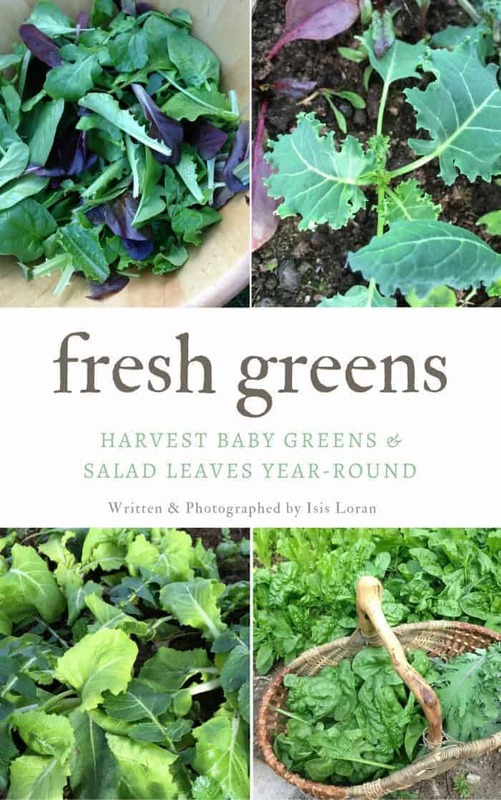 Be sure to check out my guide on growing greens! Learn more with my ebook! I have friends on facebook (in a gardening group) who are asking about fall vegetables. Is there some way I could share this with them? Of course! 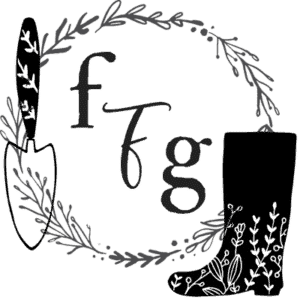 Please feel free to share the link in the group 🙂 I have lots of other posts on this site on fall and winter gardening too.